At Houghton’s you are not just a customer, you are our priority. As our name implies, we are Everything Automotive. We have what you need to make your car, van or truck not just a vehicle, but a reflection of your lifestyle. 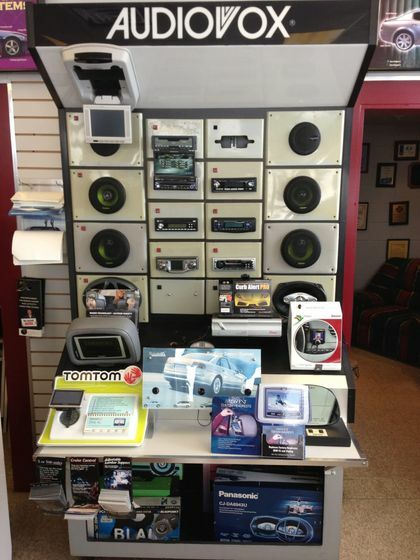 We carry OEM product lines from premier manufacturers in North America and around the world. We offer competitive prices and expert service. Furthermore, we offer 39 years of skills and experience. It's a combination that can't be beat. Our name says it all. Here at Everything Automotive by Houghton, we have everything you could possibly need for your vehicle, from automobile accessories to window tinting. We’re the one-stop shop in Guelph for any and all vehicles – whether it be the car you use on a day-to-day basis or the truck you use for a trades profession. We provide products and services that allow you to reflect your own personal taste and lifestyle onto your vehicle. As a small business with a large 14,000 square feet shop, we’re grounded in the ideals of putting our customers first. We’ll work our hardest to ensure that you’re satisfied with our services and the final product. While other shops may offer similar services, they don’t do it all, like we do here Everything Automotive by Houghton. The convenience of our one-stop shop and quality of our work are part of the reason why we have so many repeat and referred customers. At Everything Automotive By Houghton, we guarantee that only qualified technicians will work on your car. From our licensed technician and installation apprentices to our factory detail and tinting specialist, our people are professionals. This same dedication to quality and service will greet you the moment you enter our showroom or call us on the phone. We're here to answer your questions, give you advice, and help you make informed decisions about the 2nd most expensive item in your household. Let us style your ride from professional detailing to OEM integration, come in and view our showroom and feel free to request a free estimate for any of your automotive needs. Look no further than Everything Automotive By Houghton! If you have any questions at all feel free to contact us. In 1974, technician David Burke Sr. opened the doors of Houghton Automotive, a business that provided car repair, maintenance and rust protection services. It was a business built on experience, skill, and above all service. David Sr. believed that the customers deserved the best products and the best service, and that is what he provided, and what we continue to provide today. Over the years, Dave Sr. added other aftermarket product lines - from window tinting to cleaning and detailing, to multimedia products – whatever was needed to make a car, van or truck not just a vehicle, but a reflection of each owner's tastes and needs. Houghton Automotive Centre became Everything Automotive By Houghton. Today, David Burke Jr. and family continues this tradition of dedication to customer service and product excellence. 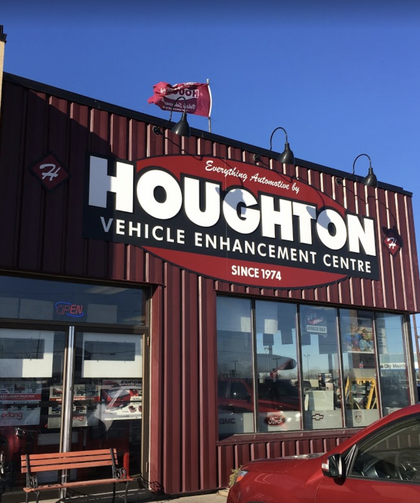 Everything Automotive By Houghton is conveniently located in Guelph Auto Mall in Guelph, Ontario. They offer an extensive array of product lines with a skilled team of service and sales professionals. From window tinting to paint protection, we offer a wide range of services for you to protect and customize your car.